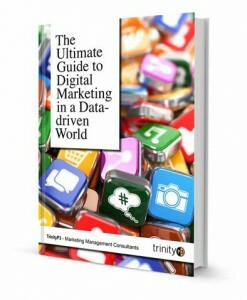 Welcome to the 3rd Chapter of “The Ultimate Guide to Digital Marketing in a Data-driven World”. If you missed Chapter 2 you can read it here. In this Chapter we delve into how best to approach digital marketing from a business and strategic perspective. The Marketing Budgets 2013 Report released by Econsultancy and Responsys highlighted the fact that just over half of the companies surveyed globally were planning to recruit more people into their digital marketing teams in 2013 – this figure increased to 66% for businesses in the Asia-Pacific region and to almost 75% for Australian companies. However, it also identified company culture and staff as the top two challenges in making the most of digital investment. Simon O’Day, vice-president at Responsys Asia-Pacific, was reported as saying, ‘While it’s good news that digital investment is rising, it’s still concerning that a third of marketers consider company culture a challenge preventing further growth’. Let’s now explore how to break down the silos and how best to plan for digital marketing success. It’s no surprise that the leading digital companies have leadership teams that live and breathe the digital ecosystem. The online shoe and clothing retailer Zappos, for example, is widely regarded as the leader in creating online product description videos. The company started in 2009 with seven people and, in line with its customer service mantra, it had the lofty ambition of creating up to 5000 videos to help consumers better understand its products. Now, Zappos employs 12 people and has produced over 200,000 product videos. The common link between Zappos and other leading digital organisations is a collaborative construct and a seamlessly integrated culture. Bricks-and-mortar organisations were naturally built into silos as they expanded. Physical presence and a production-line focus demanded that certain people be in charge of a particular area or discipline. Likewise, the marketing discipline was also siloed. 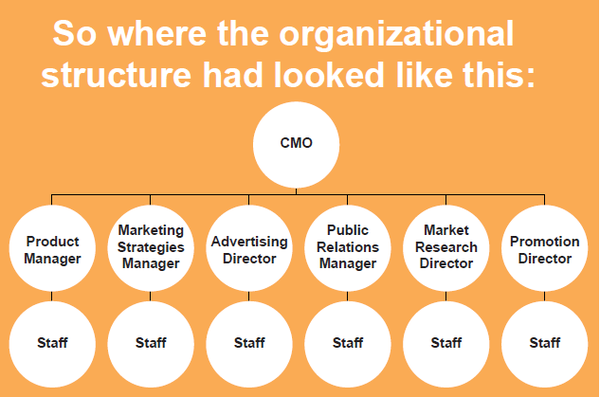 It often has the structure shown below (source: Forbes’ Here’s what the marketing organisation of the future should look like). However, as we have migrated from a product society to a service society, this model has become outdated. The successful organisations of today have realised that they require an ‘always on’ approach, with a more flexible and collaborative culture. Disciplines now interrelate and leverage information and insights from each other in order to build more successful business outcomes. The new marketing construct looks more like that shown below, with a CMO focused on the brand and customer experience at all touchpoints of marketing. This is a major shift for organisations and requires resource realignment and/or recruitment, budget reallocation, retraining and reskilling, and potentially outsourcing to new experts as part of the team. Some may remember the great digital promise of the 1990s, that we were all going to have more free time thanks to digital solutions and the computer. Yes, digital was going to allow us to do things more easily and more quickly, and then we could just chill out and enjoy life. Well, human nature unfortunately countered this thinking with, ‘If I have spare time, I’d better fill it with something’. As a result, digital has in fact made us do more, creating the feeling of always being busy and having too much to do. We now constantly check our phones, emails, social media and messages. Why? Because we can. Digital solutions have put the power in our fingertips and our voices to activate virtually anything anywhere. So the first step in establishing the new collaborative construct is to slow down. As the old saying goes, ‘Rome wasn’t built in a day’. You are going to need time, headspace and multiple perspectives in order to effectively challenge your current approach to operations, processes, people and technology. 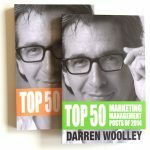 In Chapter 10 we propose a 100-day plan to help you slow down and implement an effective new direction. 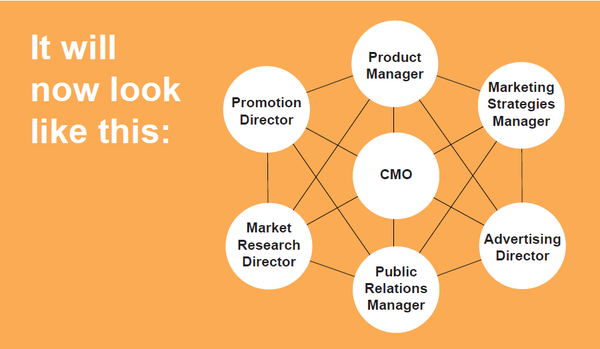 However, rather than skip to the end of this guide, read on to learn about the next three steps in putting together a new marketing construct, and also check out the chapters on digital planning (Chapter 4) and actionable measurement (Chapter 8). It sounds obvious to say that everyone should be working towards the same business goals. However, at TrinityP3, we continually see organisational departments working towards completely different goals – and worse still, not mapping them back to the overarching business goals. There are a few layers here. 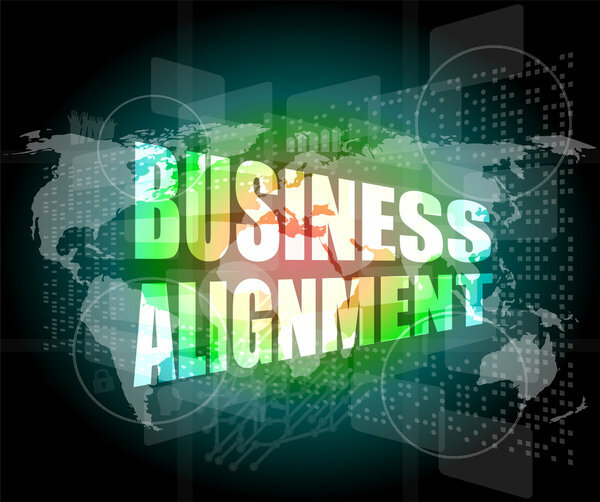 First, you need to agree on and set the overarching business mission, vision, goals and objectives. These are often found in dusty corporate business plans, or they are set at the beginning of a new financial year and then forgotten until 11 months later. Dig this material out and take another look at your business mission. Your mission is your crusade. It’s your view of what’s wrong with the world and how you intend to fix it. Now look at your vision, or what the world will look like after you’ve finished changing it. An important part of this process is assessing how your business differentiates itself from your competitors. 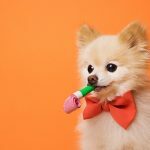 This is where the values and proofpoints of your business need to be defined – the things that really set you apart from the pack and which will persuade your target consumers (and prospects) to take an interest in your offering. 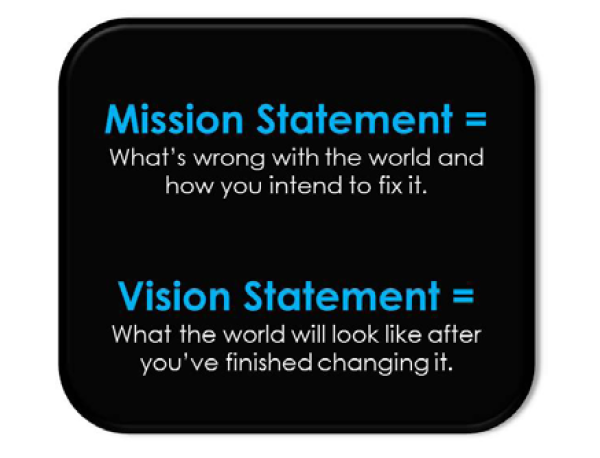 Once your mission and vision are clear, you can set your goals and objectives. People often believe these to be one and the same. In fact, goals are where you intend to go, and realising them confirms that you have achieved part or all of your vision – these are often described in words. Objectives are the specific steps you will take to reach your goals – these are typically numerically driven (for example, % shift, $ growth) or date driven. Once your business goals and objectives have been set, you can assign your marketing and digital marketing objectives. The important thing here is to ensure they all point towards a common business direction. It is no good setting a digital objective that has little or no relevance to your overall business direction. This will only create confusion, division and another silo of activity that executive management will struggle to place value on. It will result in the asking of questions like ‘Why on earth are you doing what you are doing?’ and ‘How is that delivering any value to our business?’. Once you have set a clear direction, it will be easier to allocate the right KPIs (key performance indicators) and budgets, and define who will own them. By this, we mean identifying the employee who will be responsible for making things happen, which may or may not be the person who will implement the strategy. This often depends on the size of your business. Small business owners can often own the KPIs as well as implement the strategies, whereas in larger organisations, line managers tend to be responsible for the KPIs and also the teams implementing the strategies to achieve them. In allocating digital marketing ownership, there are more considerations than in traditional marketing approaches. It used to be a matter of ‘set and forget’ and one-way channel activity. But now it is about always being on and iterative. Hence, ownership can vary according to the technology, data, research, content or channel used. That said, ultimately, one person or an executive team needs to be made accountable for the activity in order to make decisions and move forward. This is particularly important if you decide to outsource to specialists. Someone within your organisation needs to be responsible for managing the external supplier/s, someone who is senior and can make the hard decisions when it comes to assessing whether activity is adding business value or simply ‘blue sky’. The supplier’s true area of expertise – Is it e-commerce conversion, social media maximisation, search engine marketing and optimisation, or creative build and development? Assess the true skill sets of the people working on your business. With the explosion in digital service providers and technology solutions, organisations now often commission a third-party evaluation of potential suppliers before finalising any contractual agreement. TrinityP3 offers Supplier Search and Selection services as well as Strategic Supplier Alignment to determine the optimal mix of rostered suppliers and agencies. Fees versus value received – Consider upfront fee structures versus ongoing fees. Some suppliers will lowball upfront fees only to sting you with the cost of ongoing services. Assess what value you are receiving from a supplier and how this is helping you achieve your business objectives. A simple cost-benefit analysis can be conducted to reveal the answer. Appetite for risk – You will need to weigh up the risk of looking beyond your internal resources against hiring additional resources with the necessary skill sets and determining how they can best fit into your collaborative organisational construct. Finally, when creating a new collaborative construct, it is critical to share knowledge. In today’s digital business world, best-practice managers are hiring minds, not arms and legs – knowledge is seen as a company asset. Consequently, organisations are establishing processes for sharing individual knowledge company-wide, converting it into organisational power. This does not mean a weekly management meeting where individual employees simply update everyone else on what they are doing. Neither does it mean a flood of reporting sent to all and sundry. According to freelance journalist David Derbyshire, people are being bombarded with data every day. He was quoted in 2011 as saying that ‘mankind broadcasts two quadrillion megabytes – or two followed by 21 zeroes – of information through televisions, radios, newspapers, post and emails every 12 months. That’s the equivalent of every person in the world reading 174 newspapers every single day’ (source: Why knowledge management is important to the success of your company). 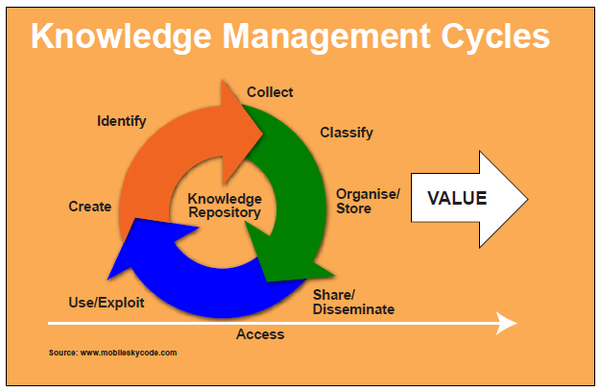 Rather, in order to actively and efficiently manage all this information, best-practice digital marketing organisations make a point of establishing knowledge-sharing processes and knowledge management (KM) platforms in order to keep people up-to-speed on insights and learnings from activity. Again, the key to establishing an effective knowledge-sharing culture is to agree on and set values that everyone buys into. This will help shape an organisation in which people will build on each other’s ideas rather than tear them to shreds. In approaching digital marketing, it will be critical to break down some of the structures and processes (obstacles) that exist within your organisation. Silos are out and collaboration is in. Aristotle’s great quote ‘The whole is greater than the sum of its parts’ has never been truer. Each part of your organisation has a function, an objective. However, it’s the unique combination of these parts that makes the whole organisation more cohesive and more effective in reaching its goals. In the next chapter we look at the development of your actual digital marketing strategy and how to best focus your energy on the right aspects of your strategy. You can read Chapter 4 here.